SK Carpet Cleaning Chadstone 3148 has always believed in providing the best services equipped with technologically advanced methods to cater to customised needs of its clients. Steam cleaning method is one of the most effective methods of all that removes dust from the innermost layers and is not restricted only to the outer layers. 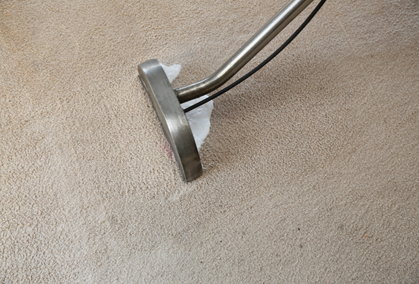 It penetrates within the carpets so as to remove all deep stains as well. It is a safe and chemical free method which is absolutely damage free. This extraction system involves hot water and steam that cleans dust and dirt in all possible ways. This sanitises and deodorises the carpet and is very helpful in removing pet stains. The natural process makes the texture strong and durable and thus long lasting. Steam cleaning method has been formulated from the traditional method. One-step process, that is, use of detergent and water to wash the carpet is used generally but SK Carpet Cleaning Chadstone 3148 uses a four step method. A biodegradable cleaning solution is used to pre-spray your carpet and then the soil particles are separated. The third step is to remove the stains. All other residual spots are then cleaned. Hot water extraction method is used simultaneously to clean the carpet. The carpet is then groomed and finally deodorised. The carpet is ready to be used. This process leaves no residue behind and hence is the most effective method. SK Carpet Cleaning Chadstone 3148 provides carpet cleaning services in accordance with AS/NZS ISO 9001. We meet the requirements of AS/NZS ISO 9001 for the activities such as carpet steam cleaning, carpet dry cleaning, carpet water damage restoration, carpet stain removal, and carpet repair. SK Carpet Cleaning Chadstone 3148 is a leading carpet cleaning company that offers great quality services in Chadstone 3148. The company’s main goal is to offer safe and high quality cleaning services to customers and met their expectations and requirements making it beneficial for both – the customer and the company. As per the AS/NZS ISO 9001 requirements, the employees of SK Carpet Cleaning Chadstone 3148 will be fully responsible for carpet cleaning, carpet repair, and carpet stain removal services, and for also delivering quality service.